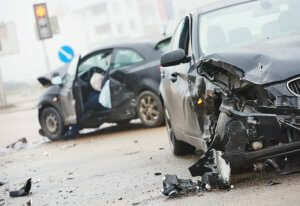 Five to six million car accidents occur every year across the United States. Still, despite these numbers, most people rarely consider the possibility that they might be in a wreck. In fact, the most you think about potential car crashes may be when you are buying car insurance or renewing your policy. Even then, many people only consider their state’s minimum insurance requirements. So, when an accident does happen, most people do not have a thorough understanding of state laws, insurance policies or what procedures to follow. Thus, you may find yourself struggling to learn your rights in time to enforce them. Fortunately, you do not have to become an expert on injury claims to successfully file one – you can simply ask the lawyers. Below, local New Jersey attorneys offer information about car insurance, state laws and what to do after a crash. If you have questions or need assistance with a claim today, then contact us to set up a free consultation with a lawyer in your area. How Do I File a Car Accident Claim in New Jersey? After a crash, you can usually file an insurance claim, either with the at-fault driver’s provider or your own, to recover the cost of your accident-related expenses. However, the insurance industry is profit-based, and filing a claim can be a minefield of loopholes, misinformation and unforeseen challenges. Therefore, to protect your right to compensation, you should take certain steps after a crash. Call the police and an ambulance. Your first concern should be getting medical help for anyone who needs it. Additionally, a police report can be powerful evidence for your injury claim. Get information from the other driver and witnesses. Write down the names and contact information plus the other driver’s insurance information and license number. Take pictures. Use your phone to take pictures of the scene, your car, any other vehicles and even your injuries. Notify your insurer. Most insurance policies require the holder to notify the provider of any accidents as soon as practically possible. However, DO NOT say anything besides reporting the basic facts of the accident as you know them. If the insurance agent asks if you are making an injury claim and you are unsure whether you suffered harm, tell them you are going to the doctor or hospital and will answer that question at a later time. Some injuries may take hours or days to appear, especially when a person’s adrenaline is running high after a wreck. Answering further questions before calling an attorney may negatively affect your claim. Call a lawyer. You can get legal advice for any claim, free of charge, in a complimentary attorney consultation. A lawyer can tell you whether you can handle the claim on your own or may offer you representation. An attorney can also either lay out the steps you should follow or guide you throughout your claim. Keep a record of any medical treatments and injuries. If you did not receive medical treatment at the scene, then you should visit the doctor as soon as you can to get a medical opinion. Either way, keep careful records. What Are the Car Insurance Requirements in New Jersey? $15,000 bodily injury liability per person. This means that each person, other than the policy holder, can receive up to $$$ in compensation for injuries. $30,000 bodily injury liability per accident. Regardless of the injury coverage limits per person, the insurer will only pay $$$ total for all injuries related to a single accident. $5,000 property damage liability coverage. This applies to the damage to vehicles other than the policy holder’s car. $15,000 personal injury protection (PIP). If you have PIP coverage, then you can file a claim with your insurer for your own injuries and property damage, even if you were at-fault for the accident. Uninsured/underinsured motorist (UM/UIM) coverage. If you have this coverage the at-fault driver in a car accident has no insurance, then you can file a UM/UIM claim with your own provider. Additionally, if your expenses exceed the limits of the at-fault driver’s insurance policy, then this policy can help make up the difference. In New Jersey, you can opt out of UM/UIM coverage; however, this kind of policy can save you from having to pay out of pocket for injuries from a car accident caused by an uninsured driver. Additionally, New Jersey is a “no-fault state,” which means that the procedure for filing a car insurance claim is somewhat simpler than other states. Instead of filing against the driver who caused the crash, you submit your claim to your own provider, regardless of fault. You therefore recover under your own PIP policy, although the available damages may be limited. For example, you generally cannot claim compensation for pain and suffering under this system. In some cases, such as if your expenses exceed the limits of your coverage, you may be able to file a claim against the at-fault driver as well. How Will New Jersey’s Modified Comparative Negligence Laws Affect My Claim? Like most states, New Jersey has modified comparative negligence laws which can affect your ability to file a car accident claim and the amount of money you can recover. According to this system, each person involved in a car crash is assigned a percentage of fault. Typically, the insurance company will investigate when you file an initial claim and calculate the degree of fault. If you disagree with this determination or cannot reach a settlement with the insurer, then your case may go to court. If so, then the judge and/or jury will rule on the degree of fault for each party. The percentage you are at fault for an accident will, first of all, determine whether your car accident claim can proceed. In New Jersey, you may file a rightful claim as long as your degree of fault does not exceed that of the other party. For a two-party accident, this essentially means that you can file a claim if you are 50 percent at-fault, or less. However, if you are at least 51 percent responsible for the wreck, then the law bars you from making a claim. If you can proceed with your claim, then your percentage of fault will also impact the total amount of compensation you can recover. Modified comparative fault laws reduce your recovery by your fault percentage. This means that if you are 25 percent at-fault for an accident, then your settlement or verdict will be reduced by that much. For example, if you claim $10,000 in damages for a car crash in which you were 25 percent at fault, then you can receive a maximum of $7,500. Since New Jersey is a no-fault state, these laws typically only apply if you are able to file a personal injury lawsuit, such as after a severe crash. Need Help with a Car Accident Claim? Ask the Lawyers! If you have questions or concerns about insurance or negligence laws, then do not hesitate to ask the lawyers. Otherwise, to find an attorney in your area, consult our local listings.